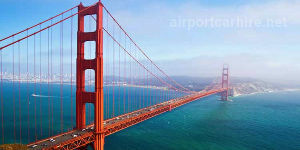 Airport Car Hire will compare the car rental market in the United States for you to get you the cheapest car hire in California. 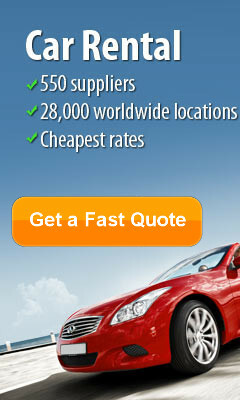 We shop around for you saving you time and money to get you the best deal possible. From the seas of the Pacific Coast to the ridged mountains of the Sierras, California is truly riddled with diverse landscapes. I personally spent 2 months walking from the barren deserts of Southern California to the peaks of Kings Canyon and Yosemite. During this time I discovered that this enchanting land is more than just a state of changing textures, but also a state with cultural attitude. The residents of California , which I came across, were the most down to earth and open minded individuals that I have ever encountered. 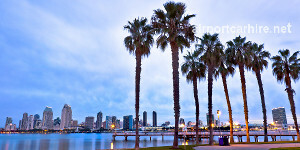 Aside from the famous cities in California, like Los Angeles, Sacramento, and Eureka, there are some natural beauties which enable travellers to experience a different perspective from the hustling city streets. 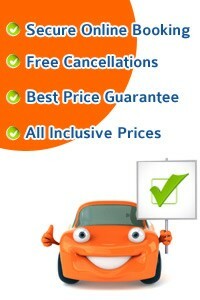 Take this opportunity to get the best car rental deals in California... CHEAPER. California as a road trip destination really has all you could hope for. Endless sunshine, pristine beaches, interesting cities, and gorgeous national parks. Whether you want to hit amazing theme parks, tour wine country, or find the less travelled hiking trails, you can find it on the roads in the Golden State. You can rent a car at LAX, one of the busiest airports in the world. While in town, see the famous Hollywood Walk of Fame, or catch a movie at Grauman’s Chinese Theatre. Chances are, you’ll be in town when one of the many well known professional sports teams are playing - so try to catch a game before your road trip begins! 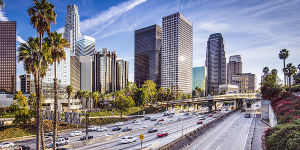 Drive around Los Angeles and the surrounding area and get a feel for big city, luxury living. While in the luxurious Orange County, stop at the lesser known Aliso Beach Park and get the pristine beach, but with less daily visitors. After the Los Angeles loop is done, take Highway 101 up the coast for the more scenic route to your next stretch of road - California’s Big Sur. Drive through California’s Big Sur on the much loved scenic route of Highway 1. This enchanting roadway takes you through peaceful stretches of nature. This roadway is less populated than major highways, so pull over to the side of the road and take in the beauty of your surroundings. Stop and see centuries old redwoods, and don’t miss Hearst Castle, a fine hilltop estate. At the end of Big Sur is Monterey. This idyllic bay community is a combination of beaches, local attractions, museums, and nightlife. It is well worth stopping and exploring the area. 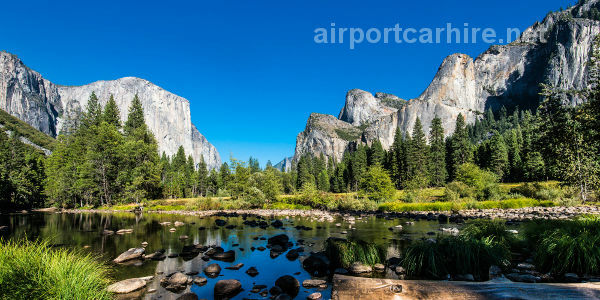 Head east on Highway 152 and visit the popular Yosemite National Park. The drive through the winding mountain roads is breathtaking and you’ll see stunning waterfalls, high cliffs, wide expanses of natural forests and maybe even some wildlife. The park lives up to its well-known reputation and will become a highlight of your road trip through California. California is a beautiful state so stop, breathe in the fresh ocean air, and enjoy the ride. Take your time driving through and stop at points that interest you. This way, you will open your horizons to new experiences, ones you didn’t even plan on. You will find that these are the ones that will make the most memories on your road trip. This is a location that not many visitors know about. Settled east of Fresno, Kings Canyon National Park, is one of several parks encompassed by the Sierra Nevada mountain range. The park is in close relation to neighbouring Sequoia National Park, and they share contiguous boarder. In addition to the jagged canyon peaks which create the canyon valley, the neighboring park offers observations of General Grant Grove, which is home to some of the tallest tress on the planet. Visitors can either take a day trip from San Francisco, or the park provides a campground area. Don’t miss out on an exploration of isolated landscapes in Sequoia and Kings Canyon National Park. Known for the magnificent granite cliffs, and mesmerizing waterfalls, Yosemite National Park is only a drive away from San Francisco. El Capitan, a massive granite monolith, looms over the tourist-filled Yosemite Valley and offers the world’s most popular climbing challenge. Hundreds of trails, waterfalls, lakes, rivers, and cliffs offer visitors an unmatched outdoor escape. Roads make it easy for drivers to discover the park and local public transportation is provided in Yosemite Valley, the main tourist destination in the park.